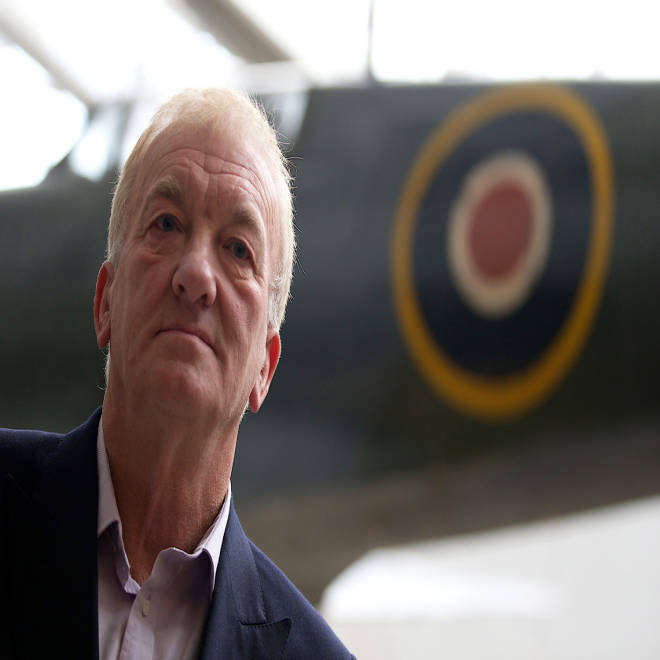 David Cundall, shown here at London's Imperial War Museum, is leading a team that will search for surplus British Spitfire airplanes that were boxed up and buried in Myanmar at the end of World War II. YANGON, Myanmar — A search team led by a British aviation enthusiast arrived in Myanmar on Sunday to begin a dig they hope will unearth dozens of rare British Spitfire fighter planes said to have been buried in the Southeast Asian country at the end of World War II. The 21-member team, led by farmer and businessman David Cundall, will start excavations soon near the airport in the main city, Yangon. Cundall said the aircraft were buried in wooden crates as surplus, around 30 feet (10 meters) under the surface. He estimated that the project would take about four to six weeks to complete. "We are expecting them to be in first-class condition," Cundall said shortly after arriving at the international airport in Yangon. The Spitfire remains Britain's most famous combat aircraft. Its reputation was cemented during the Battle of Britain when the fast-moving single-seater aircraft helped beat back waves of German bombers. Britain built a total of about 20,000 Spitfires, although the dawn of the jet age at the end of World War II meant that the propeller-driven planes quickly became obsolete. The planes believed to be in Myanmar were buried by American engineers as the war drew to a close. Searchers hope they are in pristine condition, but Andy Brockman, a freelance archaeologist who is part of the search team, said it was possible all they might find is a mass of corroded metal and rusty aircraft parts. Nevertheless, he said, "I'm very confident that we'll have answers to the story of what happened ... in 1945." This archival picture from London's Imperial War Museum shows a Supermarine Spitfire LF Mark VIII, of No. 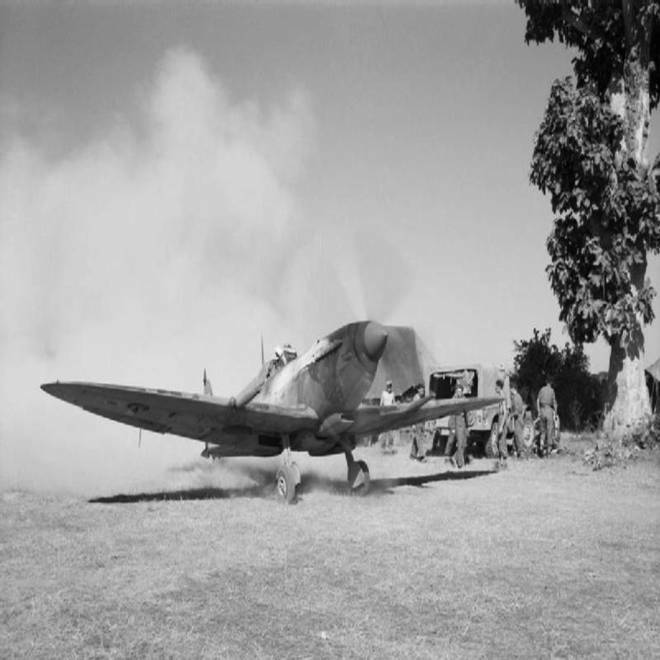 155 Squadron RAF, about to take off from Tabingaung in Myanmar (Burma) in January 1945. The venture is being backed by the Belarusian videogame company Wargaming.net, which is best known for multiplayer titles including "World of Warplanes" and "World of Tanks." The search team says 36 Spitfires are believed to be buried near Yangon airport, while another 18 are in Myitkyina in northern Kachin state and six more are buried in Meikthila in central Myanmar. Titanic's sinking: Was it more than human folly? Copyright 2013, The Associated Press. All rights reserved. This material may not be published, broadcast, rewritten or redistributed.